Hours after announcing plans to run for president, former Egyptian PM Ahmed Shafiq claims UAE barred him from leaving the country. 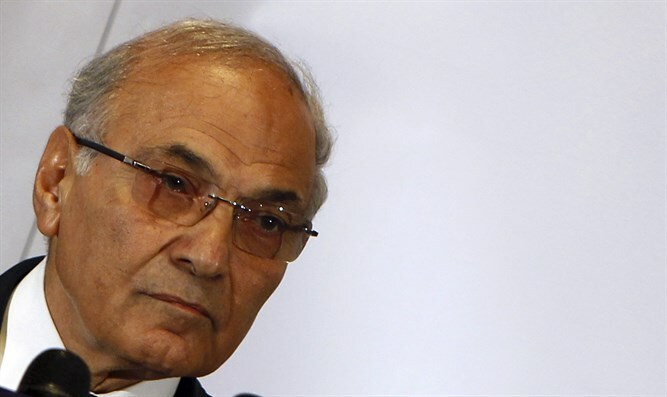 Former Egyptian Prime Minister Ahmed Shafiq claimed on Wednesday that the United Arab Emirates had barred him from leaving the country, hours after he announced he would run for president in his homeland next year. The UAE denied Shafiq’s claims, reported the AFP news agency. "I was surprised that I was banned from leaving the brotherly nation of the United Arab Emirates, for reasons I do not understand," Shafiq said in a video message sent to AFP. "I was intending to carry out a tour among the Egyptian diaspora before returning to my country in the next few days," said the former prime minister. In response, UAE Minister of State for Foreign Affairs Anwar Gargash said on his official Twitter account that "the UAE affirms there is no obstacle" to Shafiq's departure from the country. Gargash said Shafiq's claims were disappointing, especially after "we facilitated (his move) and offered him kind hospitality" after Shafiq "took refuge in the Emirates upon fleeing Egypt" in 2012. Shafiq left Egypt after he was defeated in the presidential election by Mohammed Morsi of the Muslim Brotherhood, who was subsequently ousted by the army. During Morsi’s time in power, Shafiq was accused of being involved in corruption and Egyptian authorities even ordered his arrest. Later, however, Egyptian courts acquitted him in one corruption case and shelved another. Should he run for president, he could stand against President Abdel Fattah Al-Sisi, who has claimed he would not seek a third term but who analysts believe is all but certain to run. While thanking the UAE for hosting him, Shafiq said on Wednesday, "I reject this interference in the internal affairs of my country". He promised Egyptians he would not back down from his pledge to take part in the presidential election. Earlier in the day, two aides told AFP that Shafiq decided to run in the 2018 presidential elections. Former Egyptian President Hosni Mubarak hastily appointed Shafiq as prime minister in the last days of his rule in 2011 before he was ousted from the presidency. Shafiq contemplated running for the presidency in 2014 but scrapped those plans after Sisi announced his candidacy.